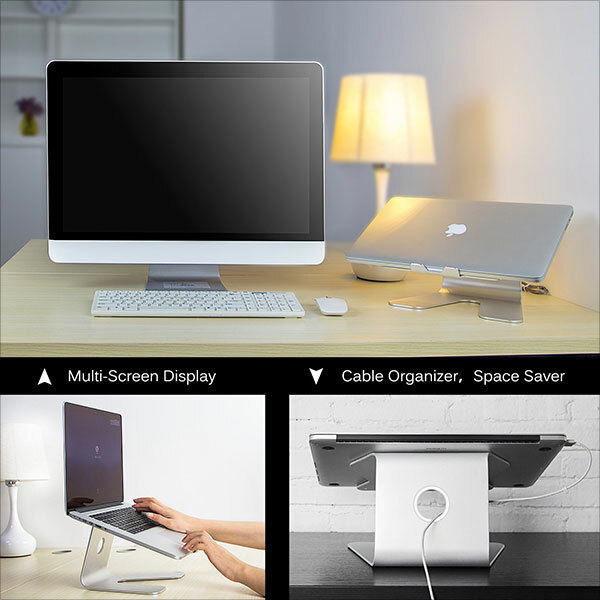 It is the tech world where laptops and systems are in massive use; adults, teens, youngsters and even kids now own a personal laptop for themselves. 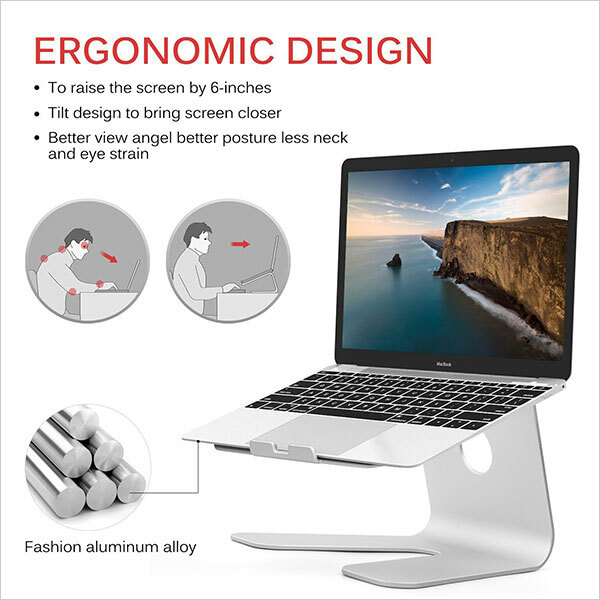 The need of the time is to have an apt laptop that could help us in browsing, making college/school assignments, working on projects, researches and designing. 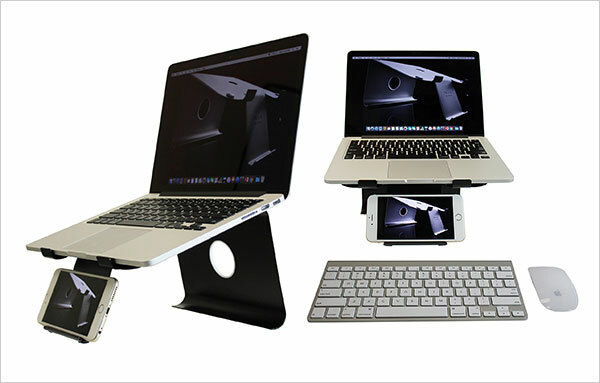 People use a laptop in various possible ways, it is handy and easy to carry around the world where you go. 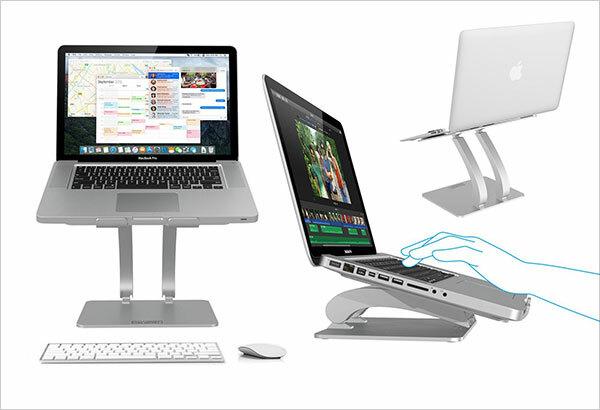 But wait up, don’t you just get tired of seating adjustment? Even the lap sometimes get heated up with the weight and by system power heat. 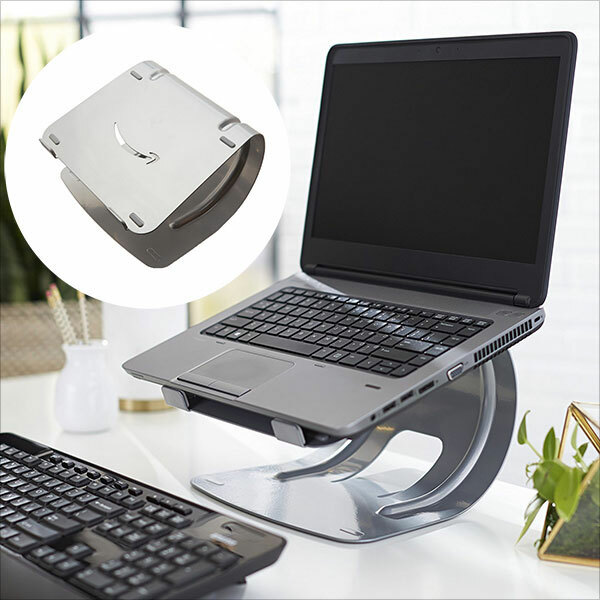 In order to avoid such problems one can totally use a laptop stand that provides a good adjustment, and easy to use access to it. 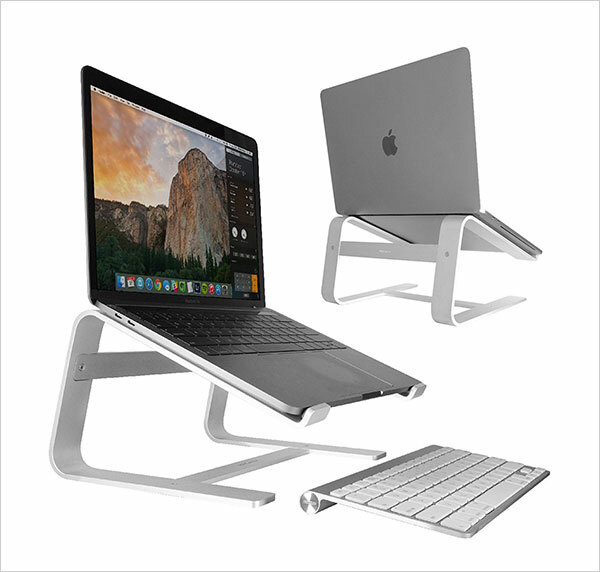 Laptops don’t come up with stands even whatever heavy price you pay for the purchase. 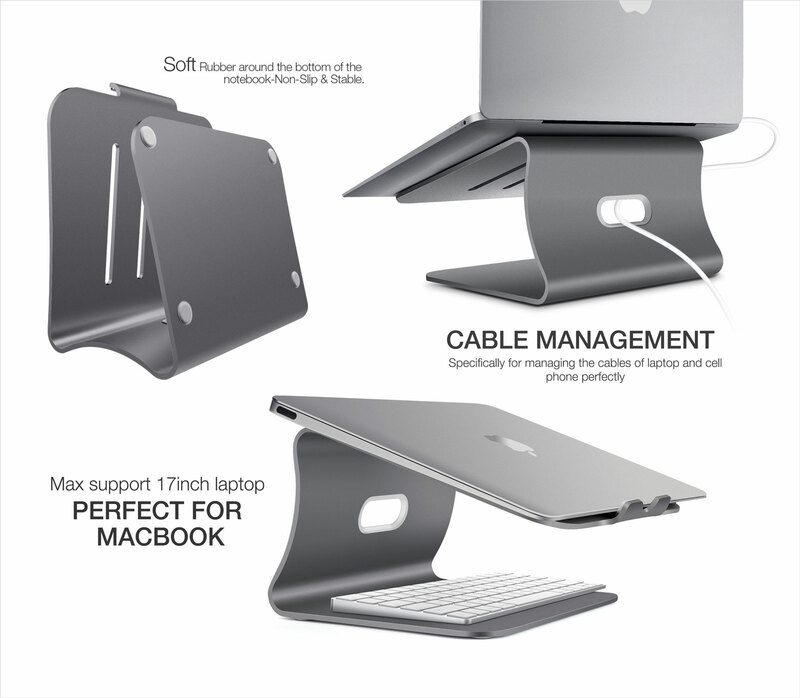 You always have to buy the accessories of laptop separately therefore they might cause you costly. 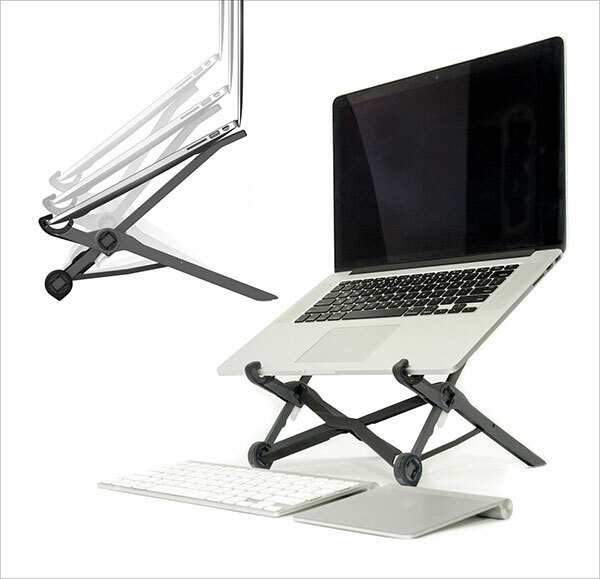 But you can believe us if we tell you that laptop stands are not much expensive. 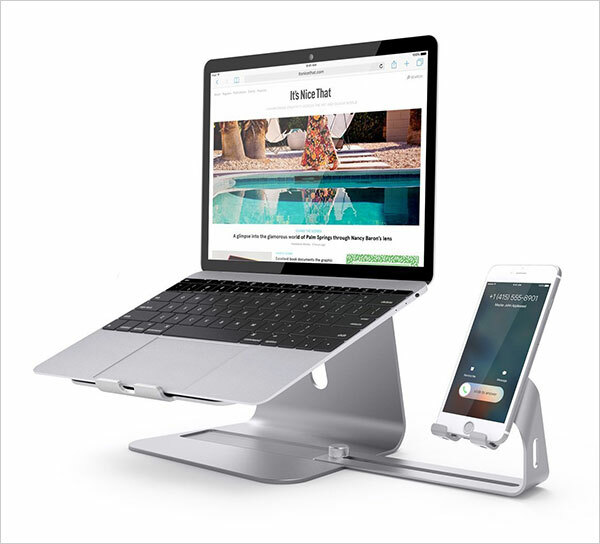 Check out my collection of top 10 best elevator MacBook laptop stands of 2017. 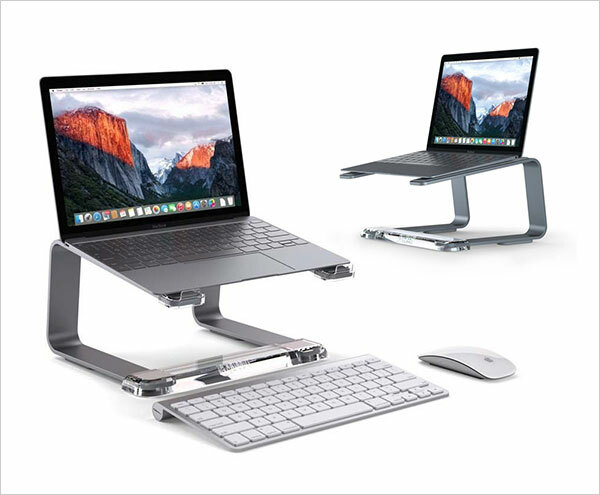 Now here is the best part about these laptop stands is that they provide you a comfortable experience while working, and prevent you from eyes, shoulders or back strain, which we all look for, isn’t it? 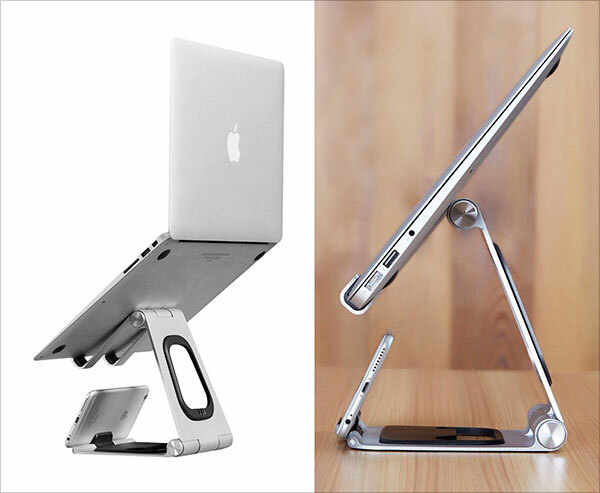 Also they are foldable so you can keep them while you travel, their portability is the major plus point, totally adjustable and are surprisingly light weight. Some of them also has a cooling tray intact to get the laptop heat free. 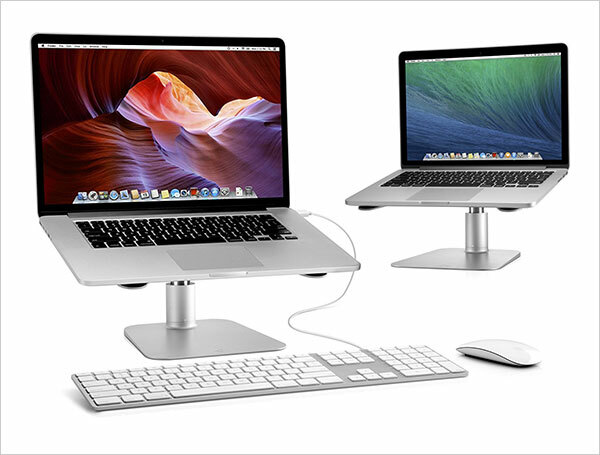 These stands come in blacks, whites, greys and silvers, you can choose whatever looks good to your eyes. I am sure you will get to choose the best one for yourself or you can also gift any of them to your best buddies. Stay tuned for more tech collection.